The band has paid tribute to the great expressionist painter Louis Le Brocquy who has died in Dublin at the age of 95. 'From the moment we met him at an Amnesty International event in 1984, our band had a strange intimacy with this giant of the art world - a gentle giant who taught manners to the world around him just by having more of them than anyone else. 'We were fans but he called us friends, starstruck friends were common in his orbit. To so many of us he was the brightest star in the firmament, always there to guide, to encourage, to push you to realise your potential… a bit professorial but that was ok… we behaved like a bunch of students, asking about Beckett, Bacon, Balthus, whoever. He mostly indulged our inquiries. We were, we are, eternally grateful for this education. 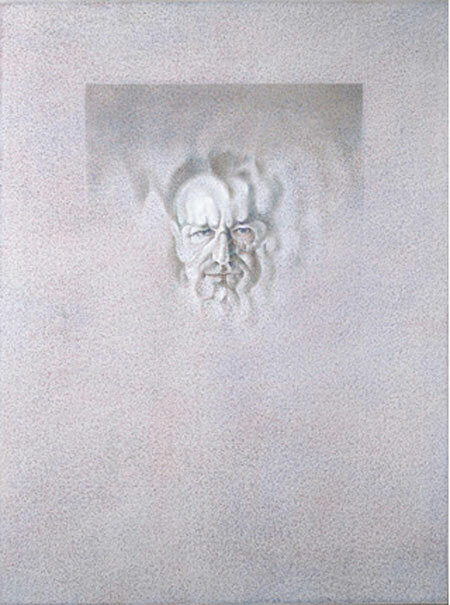 Born in Dublin in 1916, Louis Le Brocquy's work has spanned seven decades with particular accolades coming for his evocative portrait heads of great literary figures, friends and fellow artists including WB Yeats and James Joyce, Samuel Beckett and Francis Bacon and Seamus Heaney and Bono (above). Discover more about the life and work of Louis Le Brocquy here. That was the verdict of the Irish Times when Cold Dream Colour, a hypnotic dance production inspired by the work of Louis le Brocquy, opened in Ireland in 2010. Now the production, conceived and directed by Morleigh Steinberg, choreographer and wife of The Edge, is opening in Los Angeles. 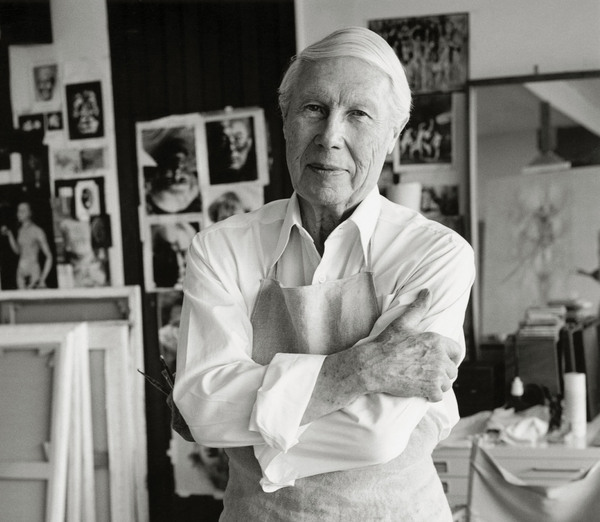 Dublin-born Louis le Brocquy is recognized around the world as the foremost living figure in the history of C20th Irish art. A master of painting, illustration, printmaking, tapestry design and set design, his work has received international praise during a seventy year career. In an interview with U2.com ahead of the Irish premiere a couple of years back, Morleigh told us that she asked Le Brocquy if he'd 'ever seen his paintings danced'. Official website for Cold Dream Colour. Louis le Brocquy’s official website. After a family visit to Jerusalem, Bono signed out from the King David Hotel by citing a poem from 'Open Closed Open: Poems' the final collection from Yehuda Amichai, regarded by many as Israel's greatest modern poet. 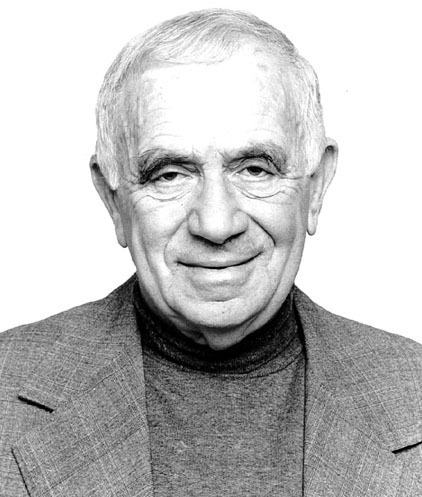 Check out more of Amichai's work at Poem Hunter. 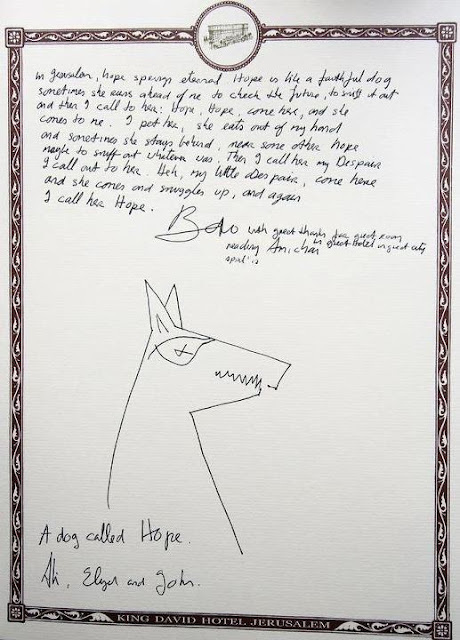 U2 front man, who paid a surprise visit to Israel earlier this month, leaves a poetic note in the guestbook at Jerusalem's King David Hotel. U2's front man Bono surprised Israeli passers-by earlier this month with his sudden visit to Tel Aviv and Jerusalem. 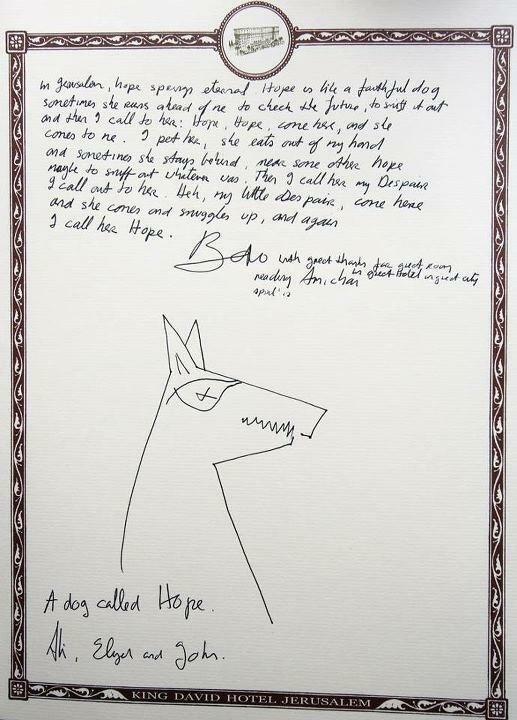 On Wednesday, BuzzFeed published the note Bono left behind at Jerusalem's King David Hotel, which consists of a poem about how "hope is like a faithful dog," and his sketch of "a dog called Hope." "In Jerusalem, hope springs eternal," the poem read. "Hope is like a faithful dog, sometimes she runs ahead of me to check the future, to sniff it out and then I call to her: Hope, Hope, come here, and she comes to me. I pet her, she eats out of my hand and sometimes she stays behind, near some other hope maybe to sniff out whatever was. Then I call her my Despair. I call out to her. Here, my little Despair, come here and she comes and snuggles up, and again I call her Hope." He signed, "With great thanks for great room in great hotel in great city, Bono." Bono was believed to be in Israel for a private visit, and did not hold any performances. Edge has added his support to leading Czech and international artists in backing moves to honour the great playwright and politician Vaclav Havel. Czech writers, film makers and actors led by producer Fero Fenic and documentary maker Olga Sommerova have ignited a popular campaign - supported by international figures like Joan Baez and Peter Gabriel - calling for the airport in Prague to be renamed as 'Vaclav Havel Airport'. 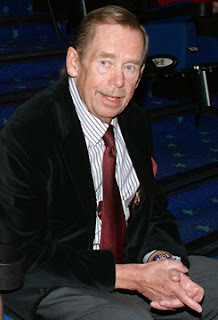 More than 80,000 people have signed an online petition supporting the idea and now the government has indicated it favours the move as a way of honouring the memory of Havel and his unique role in their history. The playwright and anti-communist dissident, who died last December, was jailed by the country's totalitarian rulers before the 1989 bloodless 'Velvet Revolution'. He went on to be elected the last president of Czechoslovakia and the first president of the Czech Republic. With support from 25 countries, other signatories include opera director Ladislav Stros, singer Peter Yarrow, Brent Hansen of MTV Europe, playwrights Christopher Hampton and Tom Stoppard, and former Pythons Terry Gilliam, Michael Palin and Terry Jones. If you'd like to add your voice to the campaign, sign up here.